Even in death plants with interesting seed heads that stand well over autumn and winter manage to look strikingly beautiful especially on those rare but magical early mornings when they are coated in hoare frost and sparkle in the sun. Not only do they look good, but their seeds provide a valuable source of food for birds, especially in cold winters when other foods may be scarce. With all this in mind, it’s important to stop and think whether you might be depriving your garden of some winter wonder before wielding the secateurs in the autumn tidy up. Teasel (Dipsacus fullonum) is a native British wildflower which makes a strong architectural statement in a sunny relaxed planting scheme. In summer, spiny pale green, thistle-like flower heads rise on strong stems from prickly rosettes of leaves and from mid to late summer are covered in tiny pale lilac or white flowers. The flowers act as a magnet for bees and the seed heads have the same effect on goldfinches whilst also looking wonderful right through the autumn and winter months. These are biennials, flowering in the second season of growth and once established they will self-seed quite prolifically so will need to be controlled by weeding out unwanted seedlings. 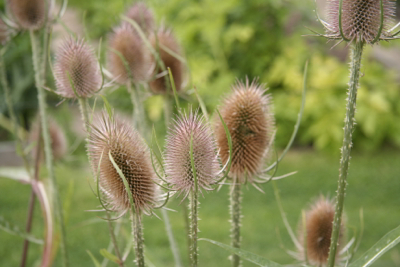 Teasels are not fussy about soil type and are happy in full sun or part shade. Height and spread: 150 cm x 50cm. 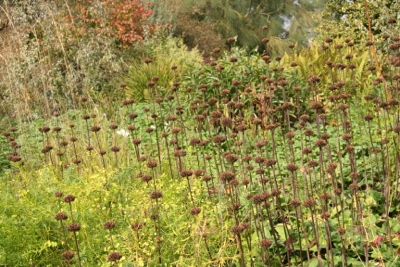 A dramatic perennial that is also a valuable addition to the winter border, Phlomis russeliana provides a strong focal point from late spring to early autumn owing to its long flowering period. 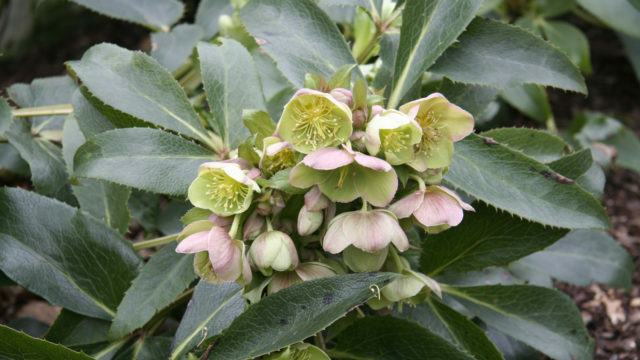 Whorls of pale yellow flowers are produced at intervals along tall, erect stems above large heart shaped leaves and provide striking silhouettes throughout winter. 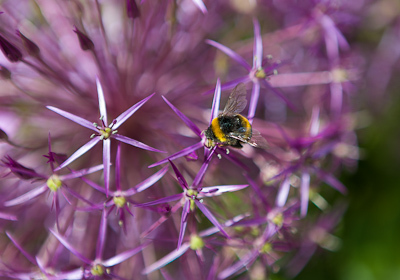 Again, bees love the flowers so this is an ideal plant for the wildlife garden and also works well in Mediterranean or Prairie style plantings and gravel gardens. 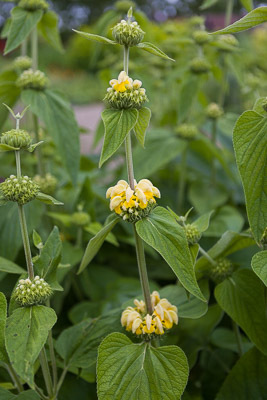 Phlomis russeliana is a vigorous, spreading perennial that needs room to grow and will do so happily on any reasonably fertile, well-drained soil. Height and spread: 90cm x 75cm. 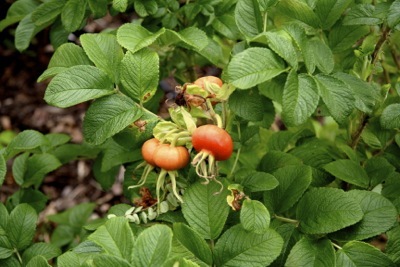 Gardening tips: Shorten any frost damaged stems in mid-spring, cutting back to just above a healthy bud. Remove any weak or diseased stems to ground level. Fennel (Foeniculum vulgare) produces clouds of soft green, feathery foliage that smell and taste of aniseed and are delicious in salads and fish dishes. 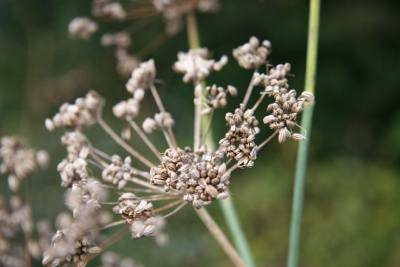 In late summer large flat umbels of sulphur yellow flowers attract hover flies and are followed by aromatic seed heads that are eaten by birds, but whose skeleton still makes an attractive and imposing presence in autumn and winter on stems up to 2m tall. Bronze fennel, which has the same characteristics but with beautiful bronze leaves, looks particularly striking grown with Verbena bonariensis which also maintains a fairly sturdy winter outline. 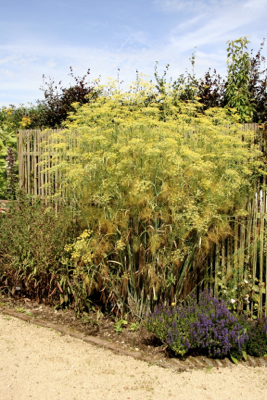 Fennel likes a sunny position on fertile, loamy, well-drained soil, but will grow in partial shade where it produces ample foliage but fewer flowers. Height and spread: 1.5-2m x 45cm (at the base). Gardening tips: Self-seeds prolifically especially in very hot weather so weed out unwanted seedlings regularly. 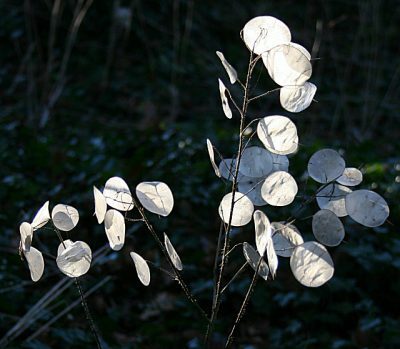 The seed heads of biennial Honesty (Lunaria annua) are truly beautiful. Rounded to oval in shape, the cases are dainty, paper thin and silvery translucent with the flat black seeds clearly visible inside. The dried stems and seed heads of Honesty are much more fragile and delicate than those of the other perennials mentioned so far, but remain on the plant well into autumn and look wonderful especially when backlit by the sun. 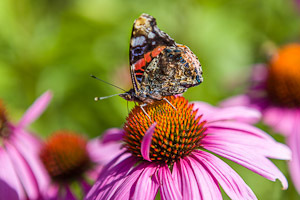 White or lilac flowers in May and June precede the seed heads and are very attractive to bees and butterflies making this another good candidate for the wildlife garden. Honesty flourishes in sun or partial shade on fertile, moist, well-drained soil where it will self-seed and naturalise happily. Height and spread: 90cm x 30cm. 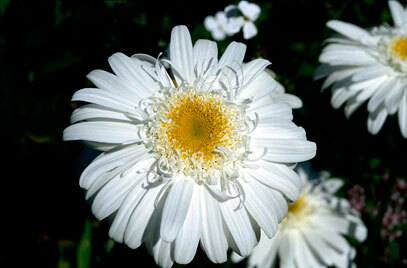 Gardening tip: Pinch out growing tips in spring to encourage bushier growth. 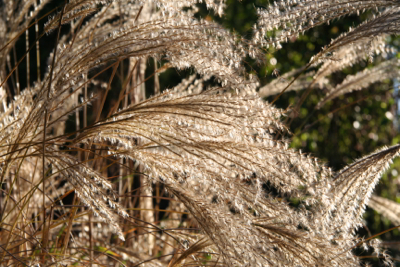 Many ornamental grasses provide excellent structure in autumn and winter and among these is Miscanthus sinensis ‘Yakushima Dwarf’ which makes an ideal front of border feature for winter interest. Its short, stout tufts of green leaves with white midribs form clumps about 1m tall. In mid to late summer fluffy pink, tassle-like flowers emerge from the centre of the clump, ageing to silver and persisting long into the winter months. This grass makes an excellent specimen plant in a small garden and looks very effective planted in generous drifts in larger borders. I grew it as a hedge in my last garden and it became a real feature in autumn when the low sunlight shone through the flowers. Happiest and most free flowering on an open, sunny site it will also tolerate some shade and performs well on a wide range of soils. Height and spread when flowering about 1.5m (but if you want less spread it’s easy to hold in the centre of the plant with supports or tie with string). Gardening tips: Cut foliage down to the base in early spring. 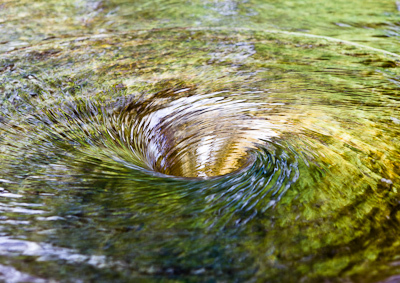 Large clumps can be divided in March to April.